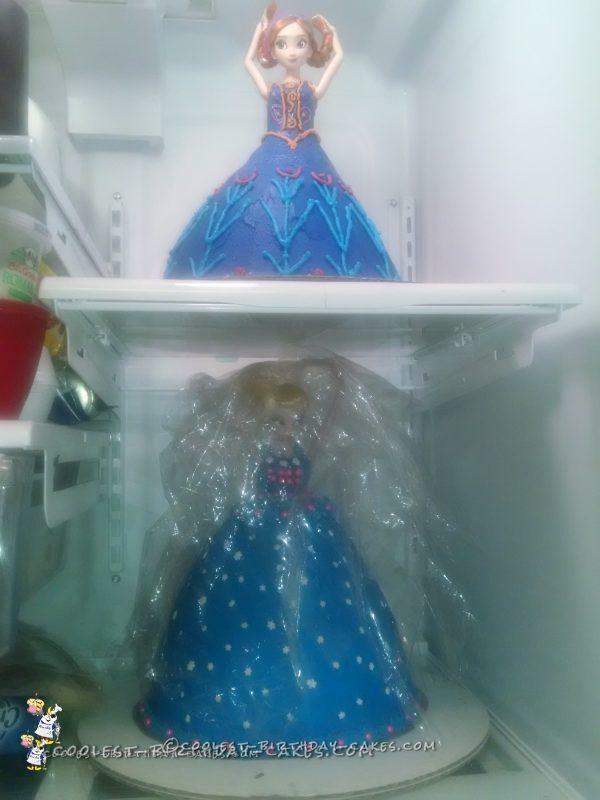 I made these Anna and Elsa doll cakes for my daughter’s 5th birthday party. 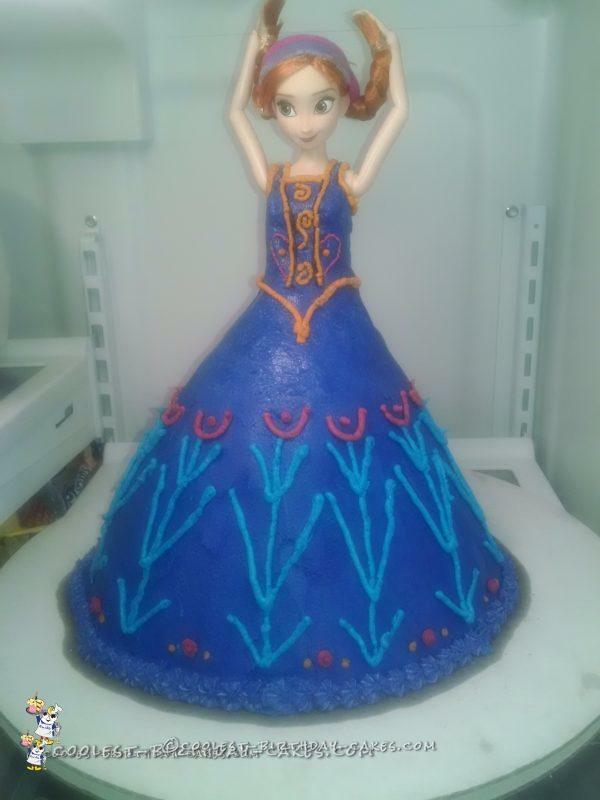 I used a doll cake pan for the top layer and a 9 inch round for the bottom. 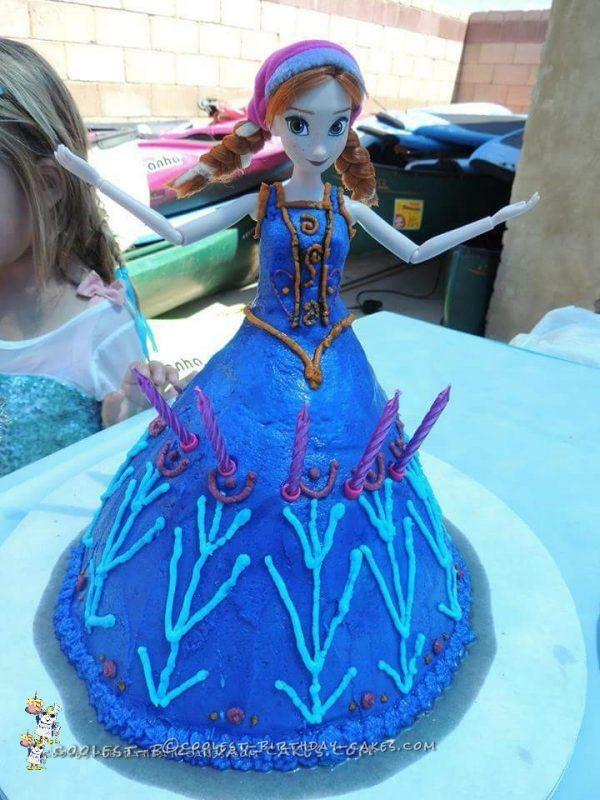 Anna is a little shorter, because I didn’t realize I needed more batter in the pan. In the process of making the buttercream icing, I broke my mixing beater. 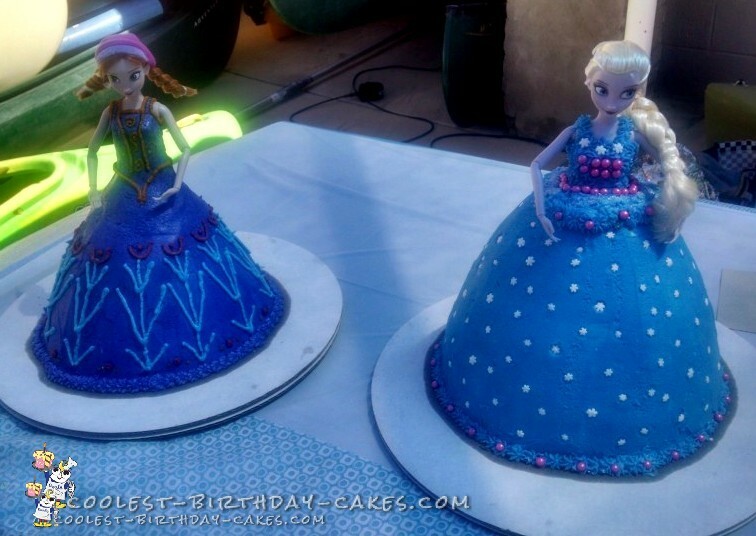 I used box cake mixes and colored them with Americolor sky blue for Elsa and blue and purple of Anna. 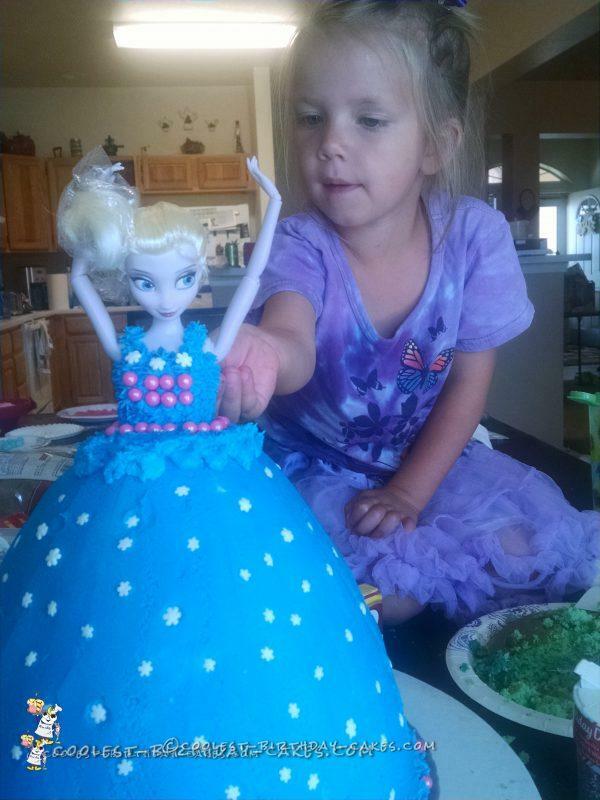 My 5 year old had a blast decorating Elsa. She thinks everyone, even the Snow Queen, could use a little pink in her wardrobe. 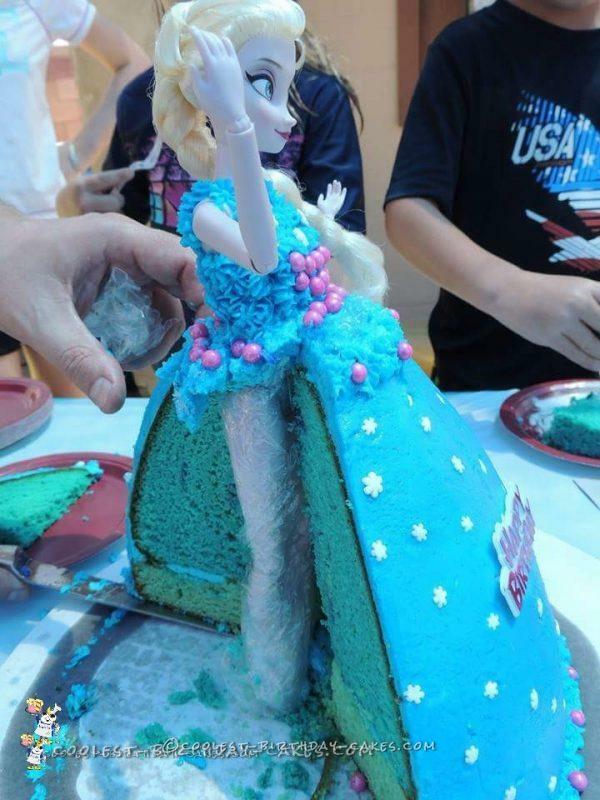 I had pink pearl candies and snowflakes to help complete Elsa’s dress. These were so much fun to make! I would encourage anyone to make one for his/her little girl. 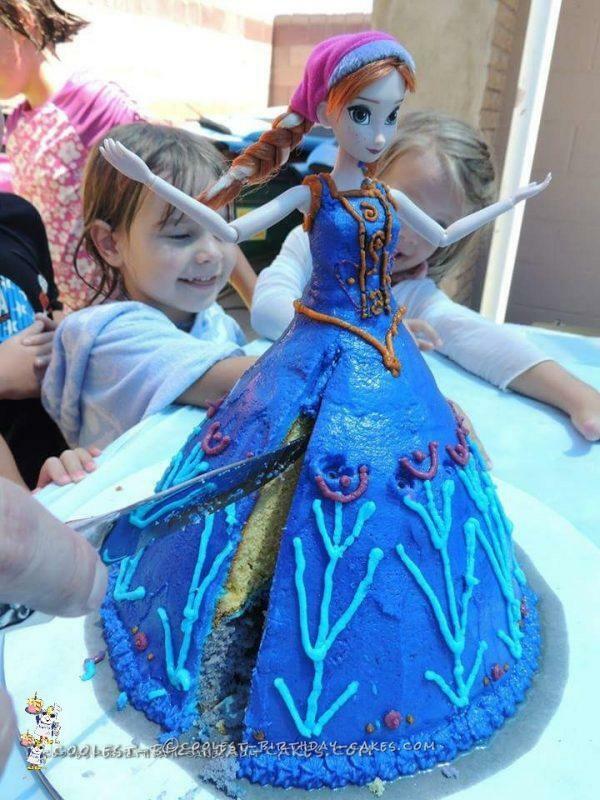 They are fun and easy to make and even more fun to decorate!